During a month intended for huddling inside, it would take something extraordinary to draw art lovers out into the frigid weather. So, layer on the sweaters, because Art Access Gallery has an exhibition that burns with intensity. Frequently offering cutting-edge themes, the gallery tackles a subject matter not regularly discussed. 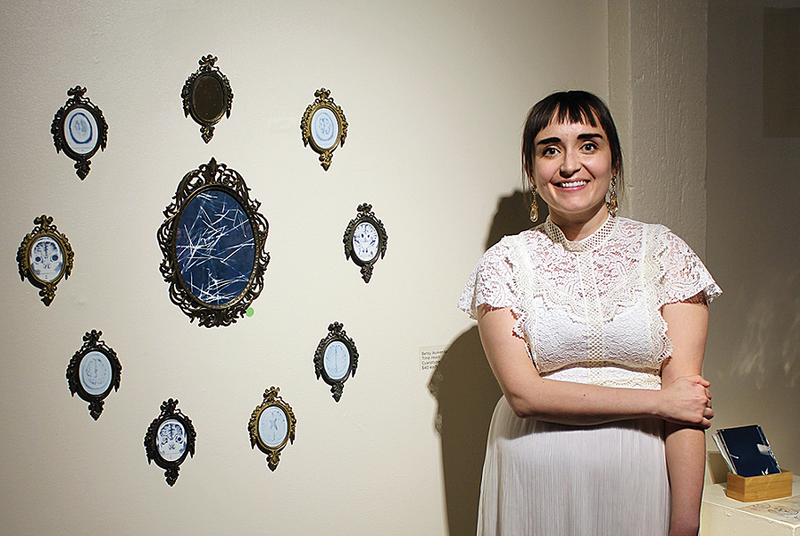 While chronic illnesses often are referred to as "invisible" because the effects aren't always outwardly evident, Invisible chronicles that experience from the perspective of artists Katie Benson and Betsy Auwerda (pictured). "Hidden disabilities are so misunderstood," Art Access executive director Shandra Benito says. "We feel like we are telling an incomplete story if we don't include artwork which brings their unique challenges to light." Creating grace out of destruction requires a unique artistic mindset. Manipulating personal scans with cyanotype printmaking is just one of the techniques Auwerda uses to transform clinical images into a relatable experience. "I wanted to turn something that made me blue into something that was bright and beautiful," Auwerda says. Similarly, Benson uses various media to portray the devastating effects of the challenges she faces daily, such as with the carefully stitched wall hanging "Energy Levels." With their storytelling artistry, these longtime sufferers of invisible maladies hope to serve as voices of validation for others who also feel unseen by bringing greater awareness to this concealed, yet common, experience. 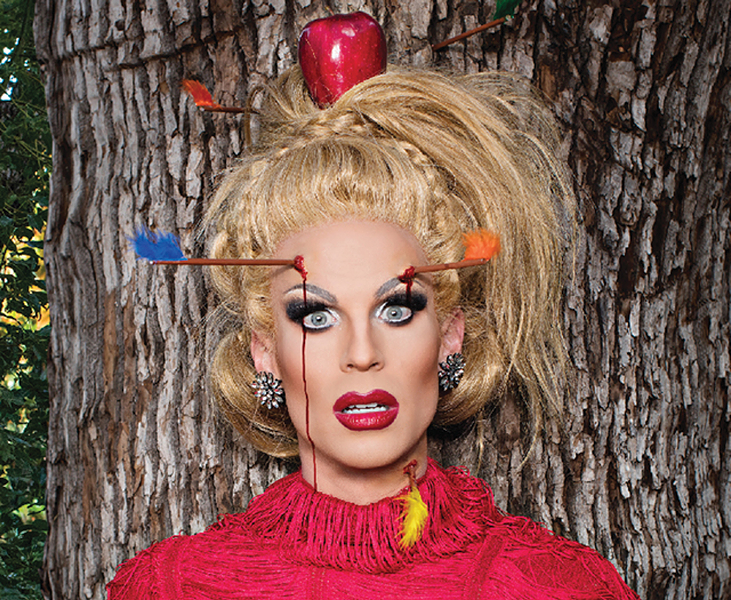 Artistic inspiration can come from anywhere, and for Katya Zamolodchikova—née Brian Joseph McCook—it came from a Russian gymnast, a professor at a Massachusetts art college and comedians Maria Bamford and Amy Sedaris, who all lit the fuse that created the stunning drag queen that is Katya. The character "is based on this Russian teacher I had, never leaving the house without a full face of makeup, six-inch stilettos in the snow," McCook told RuPaul. Katya first garnered attention on Ru Paul's Drag Race Season 7, instantly becoming a fan favorite with her Russian accent and Soviet-themed runway looks, thus winning the title Miss Congeniality. Then came UNHhhh, the web series fronted by Katya and BFF Trixie Mattel filled with genuine talks on topics ranging from heartbreak to hygiene, leading to The Trixie & Katya Show on Viceland in 2017. With his everyman persona and unflinching perspective on the frustrations of daily living, Sebastian Maniscalco resembles the guy next door—if the guy next door threatened to punch your lights out. Abrupt and abrasive, Maniscalco specializes in observational humor spawned from family foolishness and common absurdities. Lauded by Billboard as its "Comedian of the Year," he was the first to achieve that singular status. He not only sold out five consecutive shows at New York's famed Radio City Music Hall, but also pulled off a four-show run at Madison Square Garden, setting a sales record in the process. He also posted the highest Billboard Boxscore gross for a comedian on tour in North America, raking in $8.3 million in ticket sales and boasting an attendance record of 72,960. Maniscalco's achievements don't stop there. His book Stay Hungry—also the title of his current tour—is a best-seller. In addition, he's made his mark in movies with a role in the Oscar- and Golden Globe-winning Green Book, as well as a part in Martin Scorsese's upcoming film The Irishman with Robert De Niro, Al Pacino and Joe Pesci. NOVA Chamber Music invites audiences to leave Utah behind and start on an unfamiliar musical journey withOdyssey. The evening's four pieces play with the idea of travel in different ways. The performance starts with "Bach Shards," "East Wind" and "Lyre of Orpheus," composed by Pulitzer Prize-winner Shulamit Ran. The evening closes with Steve Reich's "Different Trains," a groundbreaking piece that combines instruments and tape recordings to create melodies that commemorate victims of the Holocaust. Both composers are Jewish, and their heritage greatly influences their work. Madeline Adkins, music director and performer in the show, says she chose these pieces because she wanted to celebrate a greater diversity of composers. "As a classical musician, a lot of the time our bread and butter is, they call it 'dead white-guy music'—dead European composers from the 18thand 19thcentury," Adkins says. "I was curious to just dig and discover a lot more composers I wasn't familiar with." 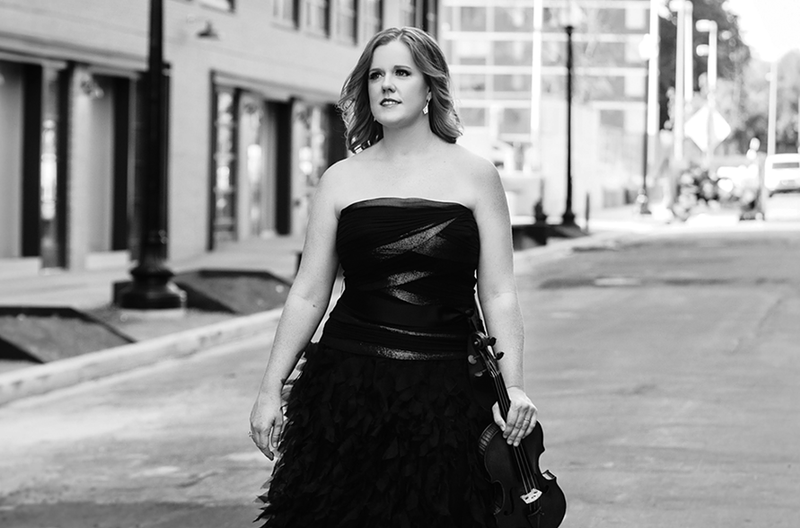 Adkins (pictured) says while trained musicians often become familiar with Reich in music school, Ran remains more obscure, and her work is underperformed. The chance for people to hear her work is what Adkins says she's most excited for. "A lot of people come to concerts because they're familiar with the music and they know of it," Adkins says. "But Shulamit Ran's music deserves to be heard."